Logitech has announced the first products under its new Logi brand a range of iPad cases which are designed to protect your tablet, the Logi BLOK iPad cases. The new Logi BLOK range is made up of the Logi BLOK Protective Shell, the Logi BLOK Protective Case and the Logi BLOK Protective Keyboard Case, have a look at the video below. 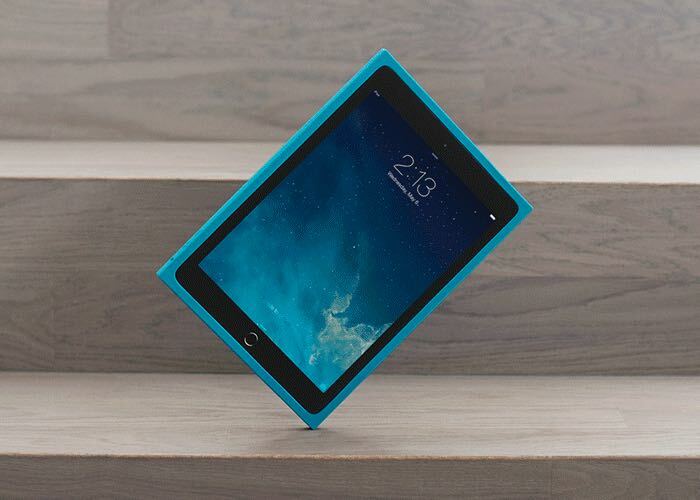 The square corners of the Logi BLOK family are designed to help protect your iPad from drops up to six feet high and onto surfaces as hard as concrete. The cases’ absorbent polymer structure supports and flexes with your iPad upon impact, and the corners of the case are even more absorbent to give your iPad more protection where it needs it most. The Logi BLOK Protective Shell provides perimeter protection for an uninterrupted iPad experience. The Logi BLOK Protective Case offers the flexibility of a case with an any-angle stand that adapts to you. And, the Logi BLOK Protective Keyboard Case is the all-in-one tool, providing a detachable wireless keyboard that doubles as a screen cover and an any-angle stand. You can find out more details about these new Logi BLOK iPad cases from Logitech at the link below.